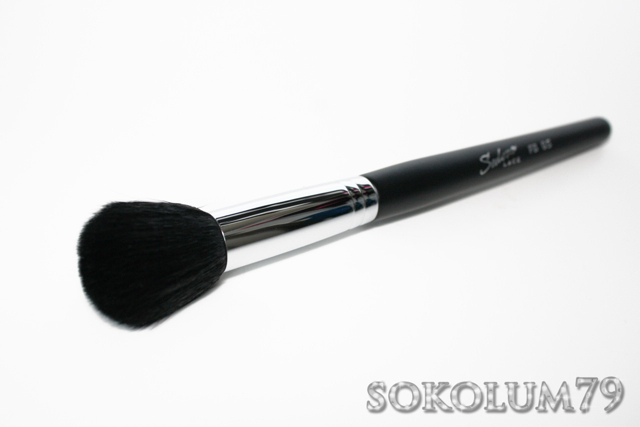 The foundation brush included in the kit is their Flat Top Buffer brush (FB 07). I only use this style of brush for my foundation. This brush is very soft, not as dense as Sigma's F80, but more dense than Sonia Kashuk's Flat Top brush, which I actually prefer to be in the middle. 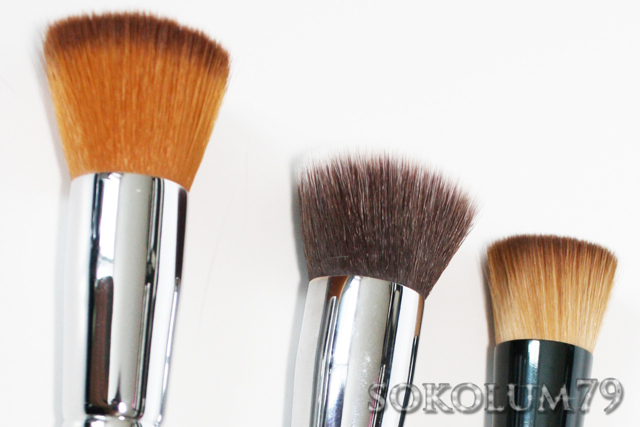 When a brush is too soft it seems to leave streaks and when it's too stuff it seems to apply foundation unevenly. Baby bear's brush is juuuust right. Haha! 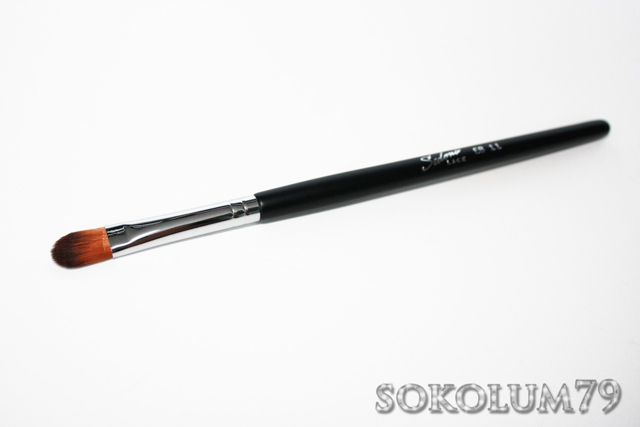 The Tulip Contour (FB 03) is densely tapered brush that I usually use for applying powder, but it is suggested that it be used for highlighting and contouring, which I haven't tried yet. 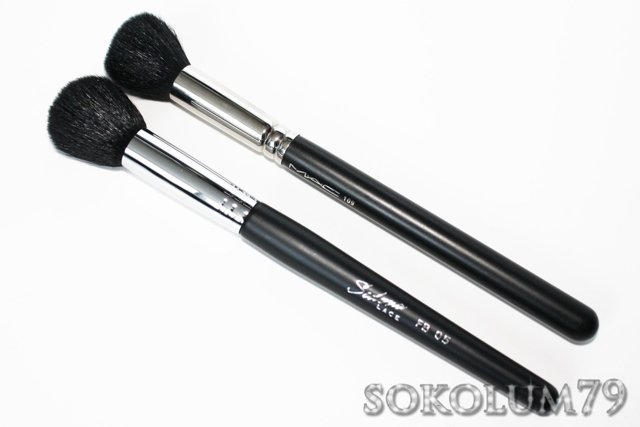 I usually use the traditional angled contour brushes for contouring and a duo fibre brush for highlighting. It a nice quality brush with a nice weight to it and had minimal shedding. 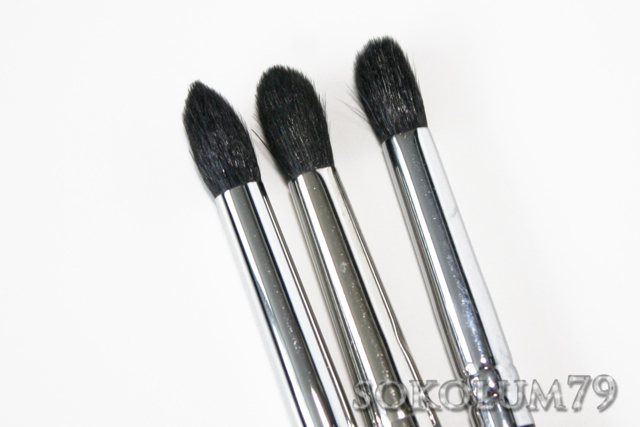 I have never used a fan brush as large as the Jumbo Fan brush (FB 01), but quite a few of my classmates in makeup school had a similar brush from Make Up For Ever and they used it to dust powder on and off FX. I usually used the small fans to dust fallout off. 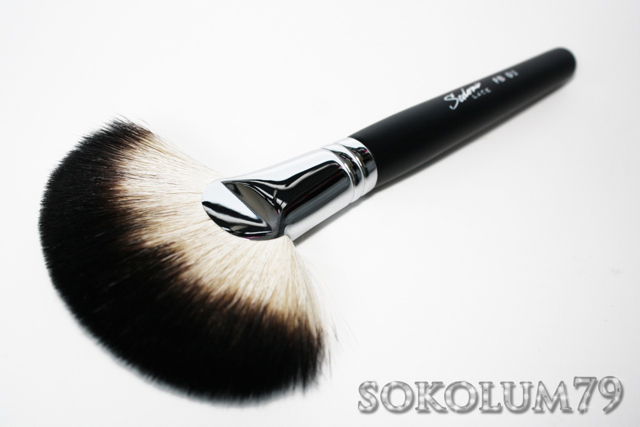 This brush is amazingly soft, dense and it IS great for applying powder! This has become my new powder brush. 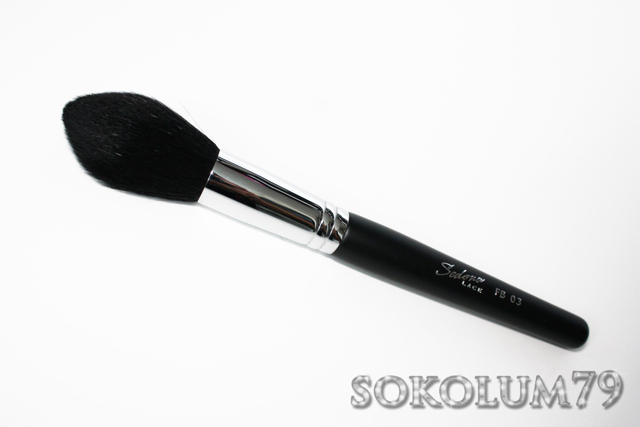 The Dome Contour brush (FB 05) is my favourite style of brush for blush! It's so soft and buffs blush in like a dream. The brush is a little more rounded than the MAC 109, but it feels exactly the same. 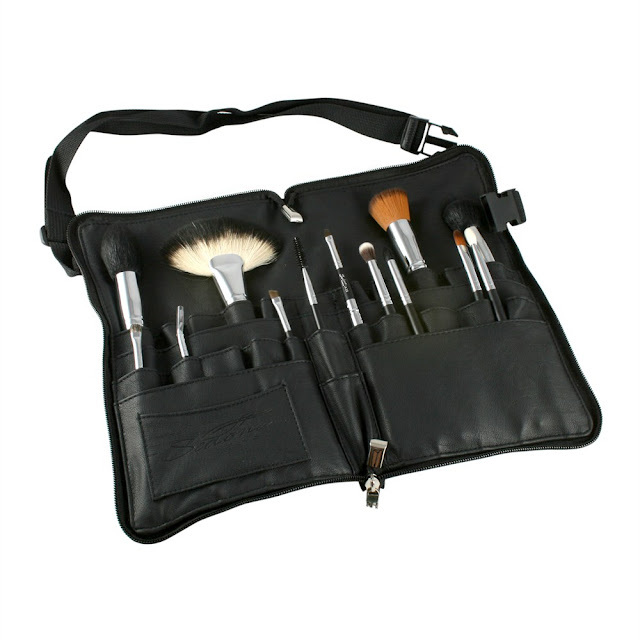 The good news is that it has minimal shedding, which 109 style brushes have the tendency to do. I can never have enough of these brushes! 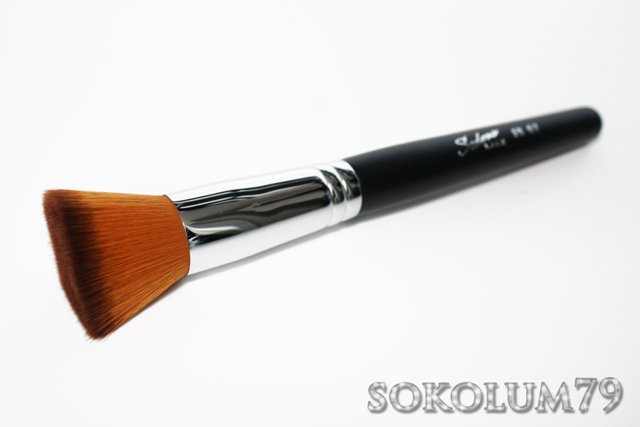 The Universal Blender (EB 09) is a MUST makeup brush. I can probably apply all my eyeshadow with this one brush if I have to. It has a pretty standard shape and feel as other brands. 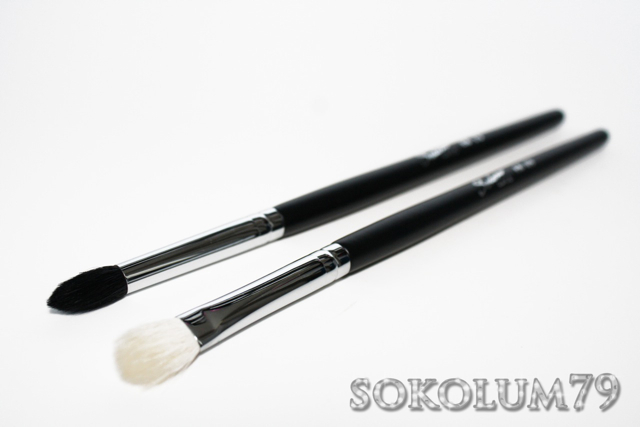 The Pointed Crease brush (EB 15) is an amazing densely packed and pointed crease brush! 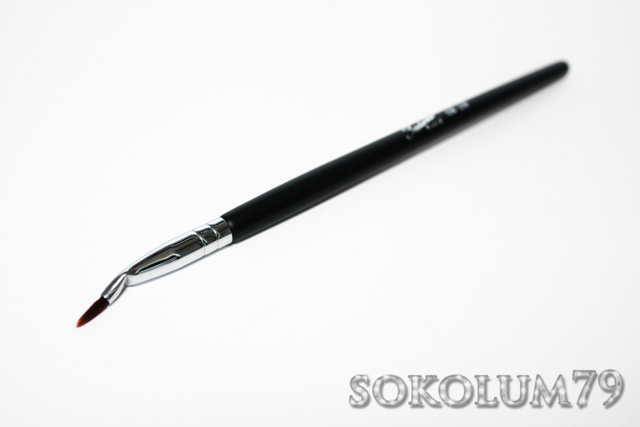 This is by far, my favourite crease brush out of the crease brushes that I own. 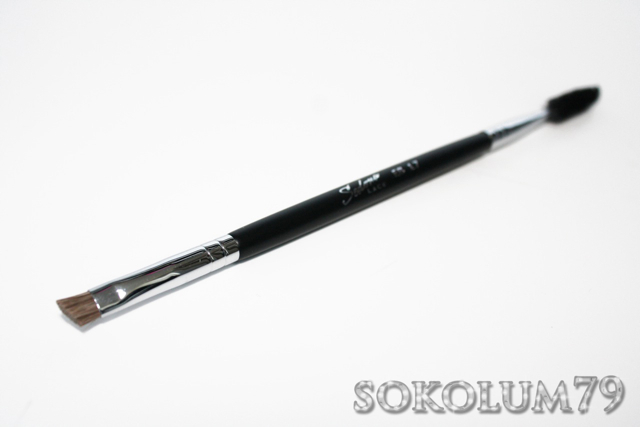 The tip is so precise, it is a like a hybrid of a standard crease brush and a pencil brush, you can even substitute this brush for a pencil brush! The Flat Synthetic (EB 11) is a stiff bristled brush, but still soft, general purpose brush for liquids/creams. It's generally not what I use for concealor or cream shadows because it's too large for blemishes and the edges are too sharp for blending out cream shadow or under eye concealor. I don't use these brushes regularly for beauty makeup, however, I did use it for packing eyeshadow on top of my base and it did a fairly good job, considering it is synthetic. I do use this style brush often in FX for liquid/cream products. The Synthetic Blender (EB 13) is the perfect style of brush that I like to use for under eye concealing and applying cream shadows. It leaves soft blended edges and is the perfect size for under the eye. 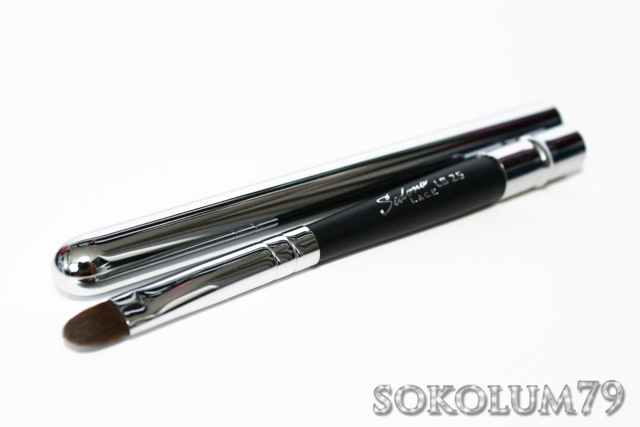 The Bent Liner brush (EB 19) is a nicely designed brush because the bristles are slightly flattened so when when you apply the gel liner it doesn't flex as much as other narrow liner brushes do. I also use the flat side to apply gel liner to my waterline. 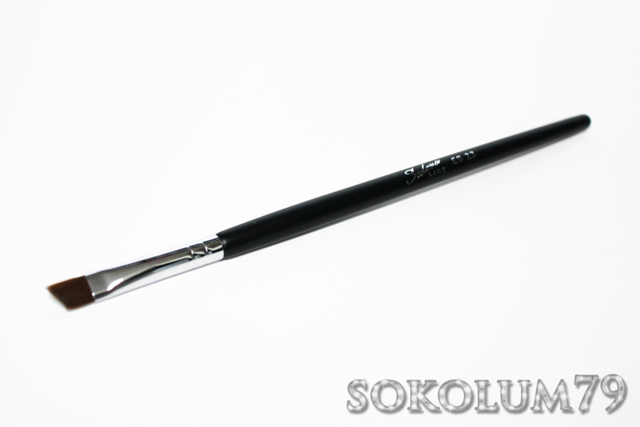 I prefer this liner brush over my Quo Angled Eyeliner brush because it's not so bent and the tip is stiffer and finer. At fist the Detailed Shader (EB 21) baffled me because I had no clue on what I would use this tiny little fluff brush for, as you may see in my video, however, after weeks I have grown to love it and have found many uses for it! It's great for inner eye highlighting, highlighting right under the brow, shading the inner and outer corner of the eye, and smudging eyeshadow on the lower lash line. The bristles are so short that you can occasionally feel the metal touch your skin, but I don't think that can be helped because it's so small. The Angled Detail (EB 23) is probably be least favourite brush out of the lot. I use this style of brush daily, but this one is too soft and doesn't hold shadow at all. 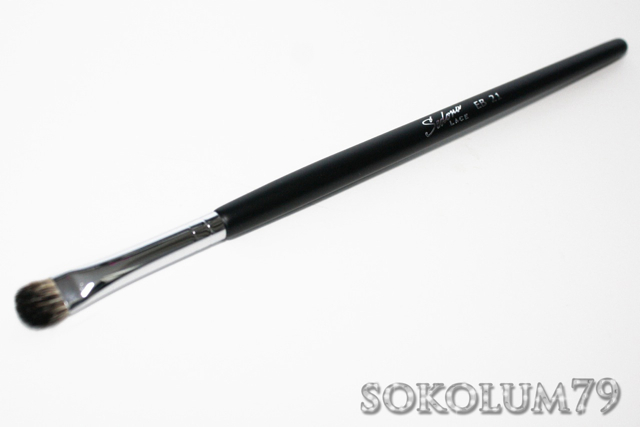 I only use this style brush for applying eyeshadow around the lash line and it's just too soft. It is a fine brush, so it will work well with gel/liquid liner though, but I usually use the fine tipped liner brushes for gels/liquids/cakes. Another one of my favourite brushes out of the group is the Brow Spoolie Duo (EB 17). I had no idea that I needed a brow brush like this one. 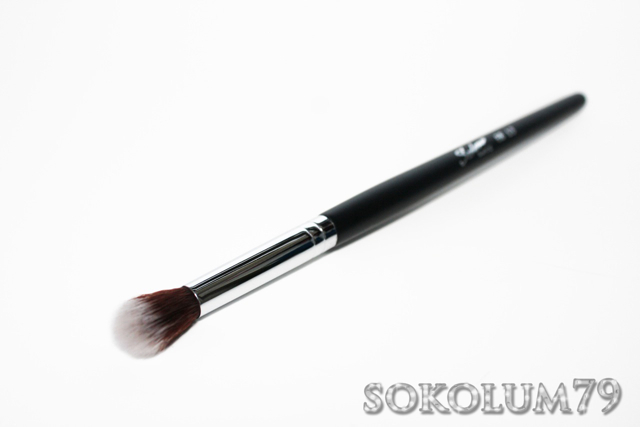 The angled brush side is thick and stiff and pushes the brow powder through the hairs onto the skin. To think I've been mucking about with silly little flimsy brushes for years! The always use a spoolie to groom and fade/blend my brows as well. 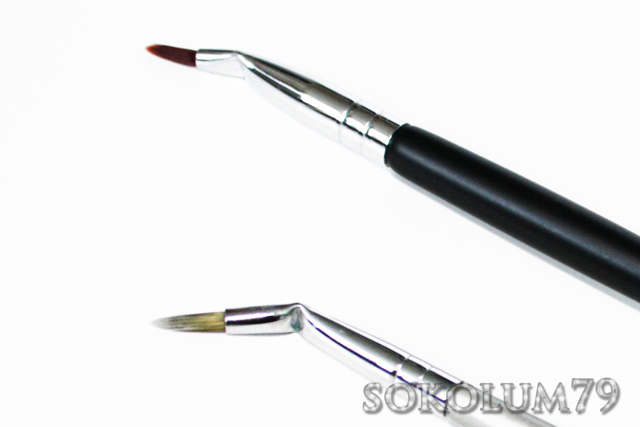 The Capped Lip brush (LB 25) is an excellent lip brush. The tip is fine, stiff and the cap is very useful because if you're heading out you can either throw it in your purse with your lipstick and not having to worry about a mess when you need touch ups, or you can load it up with your lipstick, cap it, and not have to worry about taking your lipstick with you. The zippered brush belt is a great idea because anyone who's used one before knows that once your take off the belt you are in danger of spilling your brushes if you tilt it the wrong way!! 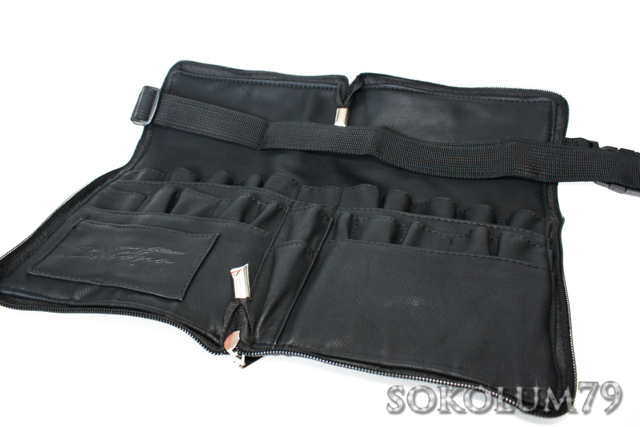 The zipper keeps everything in place and you don't have to mess with an annoying flap with one hand every time you need to look for a brush. I am quite impressed by the Vortex set, especially for the amount of brushes, the brush selection, the quality and the price! I give the set a 9/10 because there is really not much to complain about here.